The Obsidian Series 350D Micro ATX PC case is designed for building compact high-performance systems with Micro ATX and Mini ITX motherboards. The compact size is ideal if space is limited, but there’s plenty of room inside for liquid CPU cooling, dual hard drives, dual SSDs, and dual full-length graphics cards. 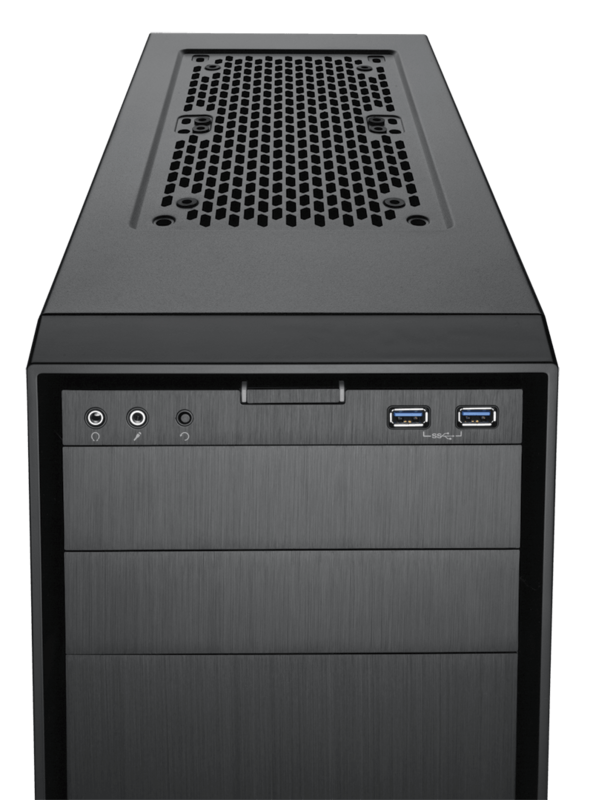 Like all Obsidian cases, the 350D is designed for fast and neat builds, with tool-free access and drive installation. Smart features like a native 2.5” SSD cage make the most of its small size, and the cooling-focused interior has five fan mounting points, with room for two 240mm radiators. 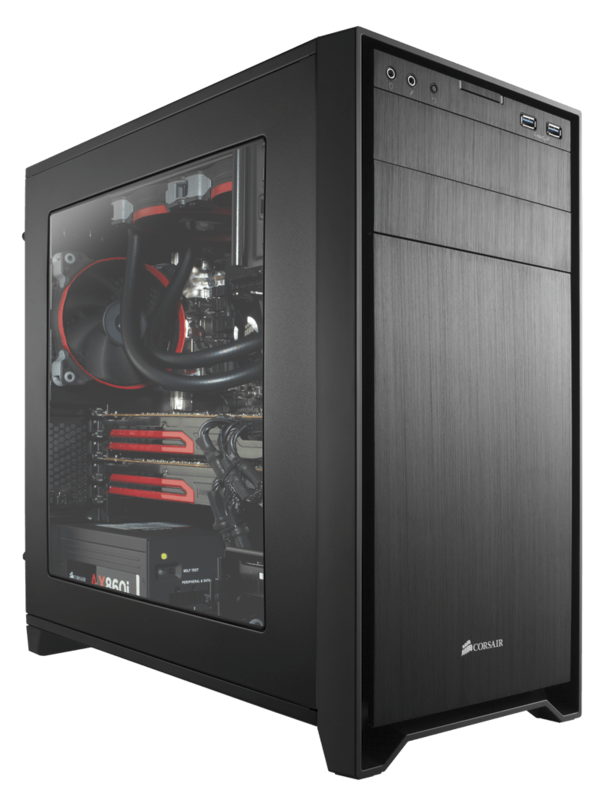 The 350D is smaller than mid-tower cases, so it’s at home on a desktop or tucked away out of sight. The smaller dimensions make it great for building systems for travelling, too. With the 350D, Micro ATX cases are no longer just for building basic systems. 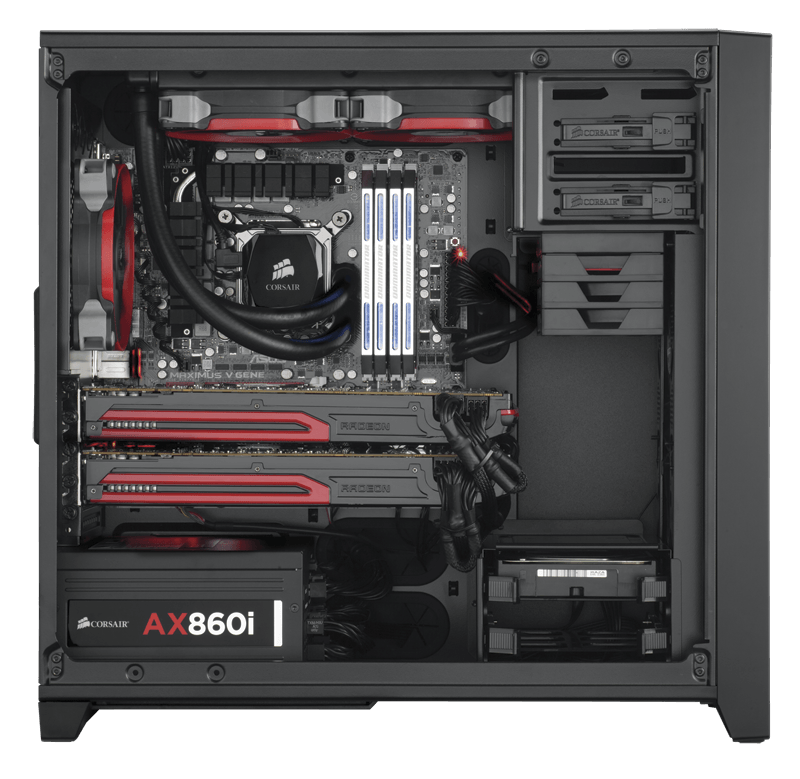 There’s room for a full-size liquid CPU cooler and two dual-length radiators, and the five PCI-E slots allow you to install dual full-length graphics cards without using up all your slots. And with two 3.5” hard drive bays and two dedicated 2.5” bays for solid-state drives, storage expansion isn’t a problem. The 350D comes with a 140mm intake fan and a 120mm exhaust fan, and there are mounts for five total. The front and top mounts are spaced for 240mm radiators for more cooling options. The 350D is designed for fast and neat builds, with features like tool-free access and drive installation and our innovative cable routing system. A front panel USB 3.0 connector and audio I/O make 350D-based systems easy to use, too.